For industries that manufacture on a large scale, the consistency, dependability and quality of source materials are the most important factors at hand when thousands or even millions of products may be impacted by a single batch of raw material. This is important not just for the first order, but as order volume increases over time, expectations for performance are created. The product you ship now needs to meet the standards established by the one shipped before. End-product customers rely on consistency as well, and variances in the original bulk material trickle down to everyone involved with the product. To ensure that materials remain as consistent as possible, industry standards are established to combine quality control and functional categorization of materials. There are standards for practically every material used in manufacturing, each one different depending on the industry and the traits of materials being used and created. Some organizations have purchasing power and needs large enough to create their own set of material definitions, with one such group being the United States Department of Defense. Given the importance of the products they use, they utilize their own highly regimented system to establish exactly what is needed so orders can be right the first time, every time. One of these regimented standards is MIL-PRF-26514, a governmental listing that pertains to rigid and flexible polyurethane foam for product packing materials. While they are often referred to in blanket terms as standards, there are variances in what each regulation means and what it covers. There are actual “standards,” the most widely-recognized regulations, as well as lesser known regulations such as specifications, product specifications and more. 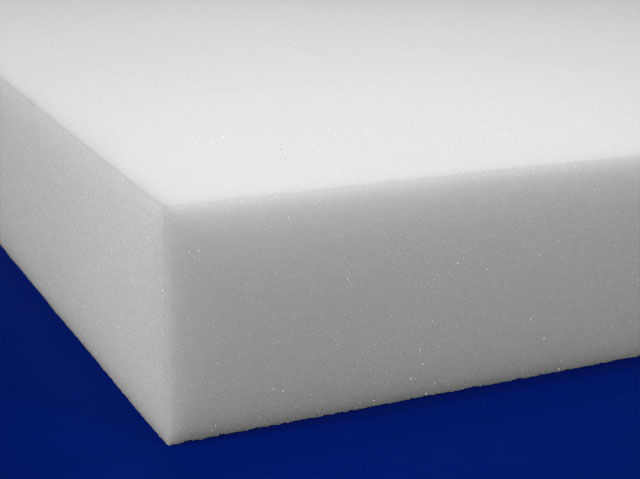 MIL-PRF-26514 is a foam performance specification, detailing the functional requirements and use guidelines for the materials or products desired. This is opposed to engineering or technical requirements which are their own type of regulation and cover different material aspects. While all are very detailed documents due to the importance of materials being ordered, as well as the often large-scale size of the order, they can help even a casual observer understand and interpret a product’s characteristics through a standard’s listed requirements. With MIL-PRF-26514, polyurethane foam sheet materials, also widely known as open-cell foam, are the material being covered. There are two types of this material included in the performance specification; Type I foam, basic polyurethane foam, and Type III, specially formulated anti-static foam. A Type II classification formerly existed but revisions to the regulation eliminated the need for this classification. To avoid the confusion of changing one classification’s title to mean what another once did, Types I and III remained the same for the sake of continuity moving forward. Beneath each Type specification, two Classes are listed. This tiered-style of classification is common in standards regardless of the industry, because it provides an easy-to-follow, yes or no methodology to answering product questions. Class 1 materials are rigid polyurethane foam, also able to be thought of as non-resilient materials. 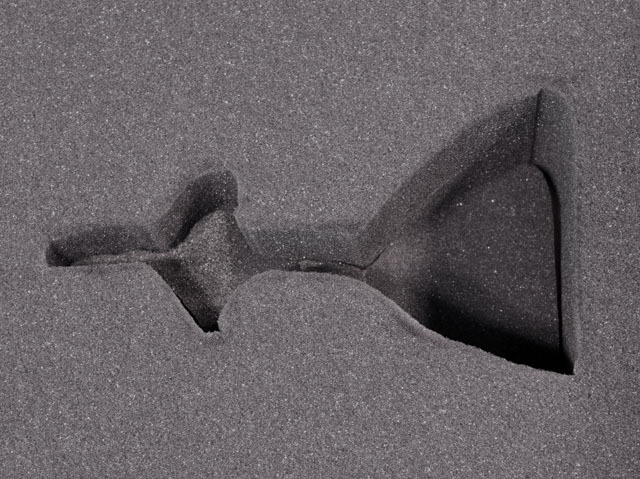 An example would be flower foam, a material that yields to pressure without returning to its original form after pressure is removed. Class 2 materials are flexible polyurethanes, which are the classic, squishy foam materials you think of being used in chair and couch cushions. These compress for comfort but return to their original form when pressure is released. The performance standard also includes another subsection for classification. For example, Class 2 materials have a restriction on the tolerable amount of compression creep that can occur in the material. The final stipulation for MIL-PRF-26514 is Grade. Grade breaks down the materials into color segments, depending on the Type of material being evaluated. Type I standard foam’s Class A material is blue, Class B green and Class C is charcoal foam. For Type III anti-static foam, Class A material is yellow, Class B red and Class C brown. Having this sort of regimented structure simplifies transactions for both the buyer and the seller of foam packaging by reducing margin for error and providing both parties with the same basis of reference. A material simply will or will not qualify for a stated Type, Class or Grade. This not only prevents incorrect materials being sold intentionally, it also prevents accidental sale of a material that doesn’t meet a specification, which saves both parties time, hassle and money. This kind of coding also allows easier storage and inventory to be kept, as materials can be classified and stocked in the same way they will eventually be sold. Requests for materials often follow specifications so, for example, an individual may request a Type I, Class 2, Grade C Material. Because of the standard, the purchaser knows exactly how to ask for what they want (a standard, flexible, charcoal polyurethane foam), and the seller knows exactly what is being requested, as well as where to find it. This article is a summary of an in-depth military performance specification, intended only to give readers a general overview of a highly-detailed document. It does not cover every aspect of the specification and should not be treated as such. There are many performance and engineering requirements within the standard that must also be met before a material is fully compliant. Stress curves may also be a factor in Grades.